One of the emergency contact details which you should always have in your wallet is that of an emergency locksmith service. Regrettably, only a handful of business and home owners have the contact details of a reputable locksmith company service. 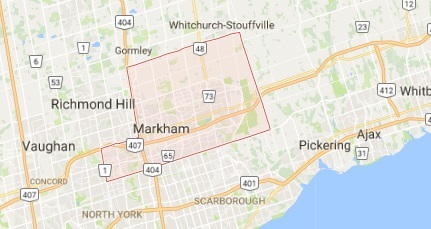 Markham Lock & Key Service is one of the most reputable 24 hour locksmith service providers in Markham offering a myriad of services such as lock change, master key systems for businesses file cabinet amongst others. Therefore, should you find yourself locked out of your house or business premise and are in need of a lock change service provider, do not hesitate to call us. Our staff is experienced and trained in the latest technologies. In a bid to guarantee business and home owners increased security, lock manufacturers have been making changes to the technology used in making door locks. Dead bolt and keyless locks are increasingly becoming synonymous with most doors. Forcing the door to open will only function in damaging the lock, which will be expensive to replace. Then again, not every locksmith service provider is trained in these recent technologies. However, our staffs are trained in the latest technologies used in making door locks. Markham Lock & Key Service guarantees that your lock will be rekeyed without damage to your locks. Unfortunately, locksmith services in Canada are not regulated by the law. Licensing is crucial as it goes on to show that the lock repair service provider has met certain requirements needed to offer high-quality service to clients. Our company does not just aim to meet the bare minimum standards set by lock repair service industry. You can call us in your office locksmith service needs too. This is one of our prime concerns as offices hold expensive equipments as well as information and business men want them secured with updated technology. Our locksmith services are open for business 24/7. 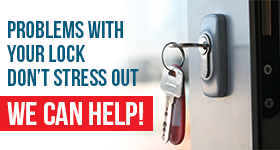 We understand that nobody chooses the time to be locked out of their homes or premises. Consequently, no matter what time of the day or night that you call us, there will be someone to attend to your call. Certification is proof that our employees are trained in the latest technologies used in emergency lock change. By insuring our locksmith company service, we are guaranteeing our clients that they will not have to incur any unnecessary cost in case one of our technicians damages your door. This ensures that you do not spend a single dollar in case there are flaws with the work done by our technicians. Our after sale service provides you with peace of mind that the work has been done to your expectations. A customer service representative will be assigned to your case just to ensure that the work is done to your expectations.